Modern construction-specific software provides your contract managers and accounts team with the financial visibility they need to control costs on all projects and remove the need to manually re-key information from one system or spreadsheet to another. At Eque2, our consultative approach helps businesses modernise their back office systems by first understanding the specific challenges they are facing from an intial estimate through to final accounts. 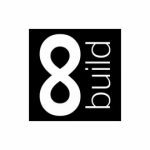 Please read below the stories of another 7 new customers we’re welcoming to Eque2 who can now benefit from modern construction specific software within their business. 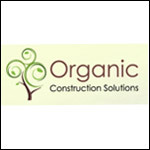 Previously running Quickbooks, the key decision makers at Organic already knew the advantages of construction specific software as they had previously used Construction for Sage. The return on investment provided by being able to keep a firm track on retentions, raising POs and fully managing the valuations and applications for payment process made it an easy decision for them to implement Construction for Sage. With such confidence in Eque2, Organic also decided to maximise their investment by integrating our EValuate Estimating software at the same time to fully streamline their tendering process. 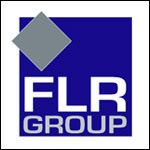 FLR are a leading supplier and installer of carpets, carpet tiles, luxury vinyl tiles and safety flooring in a range of commercial and residential environments. Working in partnership with premium manufactures, FLR pride themselves on bringing brilliant customer service from start to finish. With prior experience of the Construction for Sage 50 solution in a previous business, the directors at Braithwaite Fit Out felt that their new venture would be best supported with known and trusted technology. Moving from a manual process for tracking jobs and controlling their contract costs, the use of Sage 50 and Construction Lite for Sage 50 is the right choice to underpin rapid growth while being efficient and eliminating duplication. 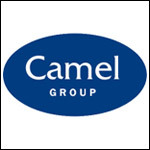 Based in Cornwall, Camel Group provide a wide range of glazing solutions including architectural glass and aluminium, timber, conservatories and complete windows and doors. The business uses Sage 200 accounts, however there was a clear need to implement a back office job costing solution and eliminate the existing duplication. Reporting was a key requirement and vital information would help to control and streamline this complex, growing business. Construction for Sage 200 from Eque2 has been chosen to extend the existing infrastructure and help to build out a more complete integrated solution. 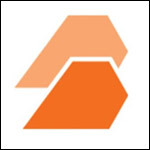 Family owned Civil Engineering business, H Sweet & Sons, chose Eque2 due to the seamless integration with their existing Sage 50 accounts. 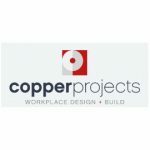 Their main objective was to find a pre and post contract software solution to fully streamline their business, which is why they chose our EValuate Estimating and Construction for Sage 50 solutions. Other key factors for them included the strong reporting, sub-contractor management and client relationship management tools. 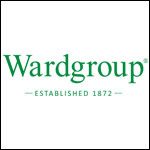 The Ward Group chose Eque2 Construction for Sage 50 due to their existing Sage Job costing system not providing the business with level of information they needed. Our on-going development road map was one of the key reasons for their decision, along with the strong integration with their existing accounts system, reporting capabilities, and functionality that covers each area of the business. 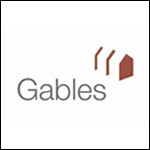 Gables UK recognise that familiarity is key when upgrading to construction software, and therefore chose Construction for Sage 50 as the system has the same look and feel as their Sage 50 Accounts solution. They were relying on spreadsheets and are looking forward to saving time and increasing efficiency by replacing their manual processes with a fully integrated system that will help them manage cost control and retentions.